From debut fantasy author Josh VanBrakle comes an epic new trilogy of friendship, betrayal, and explosive magic inspired by Japanese mythology. Lodia's history declares lefthanded people dangerous and devil-spawned. For teenager Iren Saitosan, the kingdom's only known Left, that's meant a life of social isolation. To pass the time and get a little attention, he plays pranks on the residents of Haldessa Castle. They're harmless fun, until one of his stunts almost kills Lodia's charismatic heir to the throne. Now to avoid execution for his crime, Iren must join a covert team and assassinate a bandit lord. 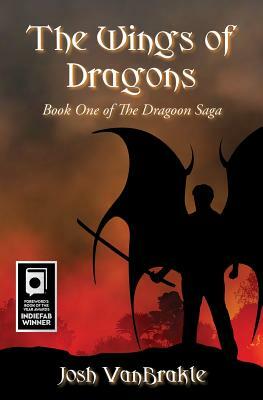 It's a suicide mission, and Iren's chances aren't helped when he learns that his new katana contains a dragon's spirit, one with a magic so powerful it can sink continents and transform Iren into a raging beast. Adding to his problems, someone on Iren's team is plotting treason. When a former ally launches a brutal plan to avenge the Lefts, a vengeance one thousand years in the making, Iren finds himself trapped between competing loyalties. He needs to figure out who - and how - to trust, and the fates of two nations depend on his choice. Josh VanBrakle is an unrepentant lefty who is overjoyed to live in an age when authors can type their stories instead of handwriting them. His love of dragons, magic, and epic fantasy led to a dream of publishing a novel that refused to let itself get pushed aside. While he has written stories since childhood, Josh is a late-bloomer to professional writing. He first trained in forestry and economics, and in his day job, he works for an environmental non-profit promoting rural land conservation. Originally from Hershey, Chocolatetown USA, Josh now lives in the Catskills region of upstate New York with his wife Christine and their two ill-behaved cats. To stay up to date with the latest news about Josh's upcoming titles in The Dragoon Saga, please visit www.joshvanbrakle.com.